The best thing to do is just remove the part and buy it right away. DO not wait for a few days to purchase the part. 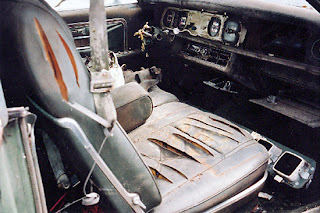 When I make a visit to the junkyard, I always take more than three hundred dollars with me. My junkyard pet peeve - someone asks to borrow a tool, and I reluctantly let them have it. Then, they disappear. I have to track them down all over the junkyard to get it back. 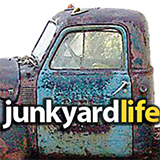 My Junkyard code: No tools? Not my problem. Go prepared. One of my favorite old junkyard haunts was a foreign car place up in Piedmont. Unfortunately most of the cool stuff has been crushed now and the 90 year old owner passed away. After he saw me shut a door on a car that someone else had obviously left open, he'd always let a teenage me roam around there for hours just looking because he knew I wouldn't mess with a thing. I miss tromping through old junkyards. i belive that that seat hacker was a teenager trying to make us all angry like when i found a toyota land cruiser well lets just say it didint survive being rammed by a school bus how weired and stupid is that?